I would like to thank you for organizing so perfectly my memorable trip to Puglia. The hotels and restaurant choices were excellent.The educational tours were entertaining and memorable. In addition, all this was brought together by the professional Paola whose attention to details, caring attitude and keen ability to go beyond the call of duty was truly appreciated by me and the others. Paola’s warmth and historical knowledge made my trip with SECRET ITALIA very special indeed. She is a credit to your company.I look forward to doing another tour with you hopefully in the not too distant future. Good Morning Aldo,I am late in writing to you, for which I apologize, but I just wanted to say a big thank you for such an amazing holiday I had in Puglia. I was very impressed with your company and the professionalism in its organisation and structure. I thought the itinerary you had planned for Puglia was excellent, the choice of restaurants and places we visited were very good and especially your choice of guide, Paola an excellent guide, very organised and professional, highly knowledgeable and very nice to be with. Excellent find by you.All in all, it was a wonderful holiday thanks to you and your excellent organisational skills and I will certainly be using your company again for the Amalfi Coast and Sicily in the near future. Thanks so much for the amazing tour we had. It has been absolutely enchanting and wonderful in every way. Highly recommend them. Francesca our guide astounds me. Very well informed, smart, funny and lots of fun as well as incredibly skillful at dealing with all our guides, hotels and excursions. I’ve visited Sicily twice but this time, I’ve finally understood this complex pot pouri with its convoluted history of invasion by almost everyone over the centuries. I’ve also met some enchanting new friends and had so much fun getting to know them “.Finally, I love your new information pack with maps and more details and very clear instructions for arrival and what to expect in Europe. It’s very well explained and great. You just seem to go from strength to strength and now I’m sure you can’t do better! I think I will have to find another of your tours for next year!! Francesca has me hooked.Also I thought I might send you an excerpt from an email I sent today to many friends and family. “Perhaps the most beautiful and ornate churches in the world, extraordinary seafood markets and incredible pistachio pastries and cassata gelati, home of the Mafia and amazing wineries alongside the best preserved Greek and Roman ruins in Europe. This is the contradiction and enigma of Sicily; the island of contradictions and surprises!I’ve been on another outstanding “Secret Italia” small group tour (whom I traveled with to Portugal). Just back from Portugal and we had a marvelous time. This tour was an extraordinary experience for us offering many intimate insights into Portugal. So many unforgettable moments beyond the impressive structures and critical highlights: beautiful gardens, wonderful vineyard tours and tasting experiences, marvelous culinary experiences, the stellar and unique hotels, the charming “off the beaten path” village finds, and the private Duoro River cruise. 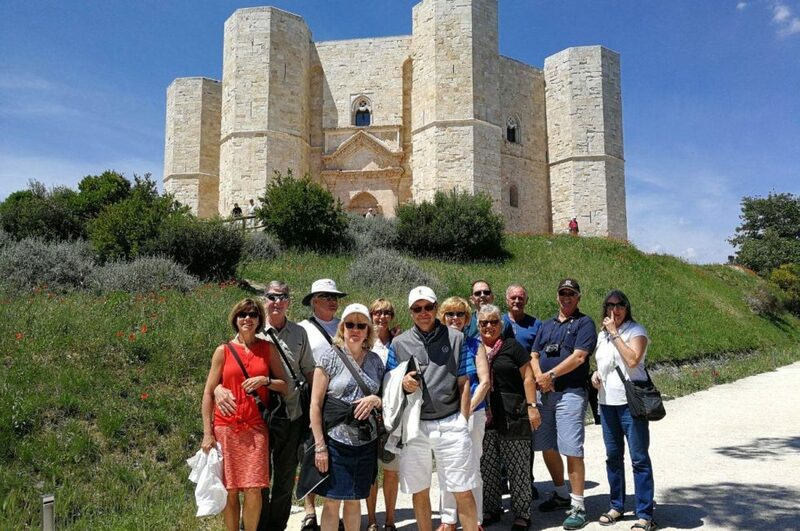 Our tour itinerary demonstrated the careful selection of special tour elements and premium venues combined with excellent value that are the signature of a Secret Tour. We’d highly recommend this tour of Portugal. Thanks to everyone at Secret and the great tour guides. Aldo, as our visit to Sicily comes to a close, we wanted to tell you how wonderful the past 11 days have been for us. Sicily is such a beautiful island with a rich history and culture, and the charm of Rosaria truly made all of this come alive for us; she is a jewel. Don’t lose her. We have been on several Tauck tours in Europe. Your daily guides, the itinerary that you choose, the intimacy of the boutique hotels along the way, and the restaurants that are chosen provide an experience that they cannot duplicate. We will be forever thankful that we found Secret Italia, and we hope to see you again. 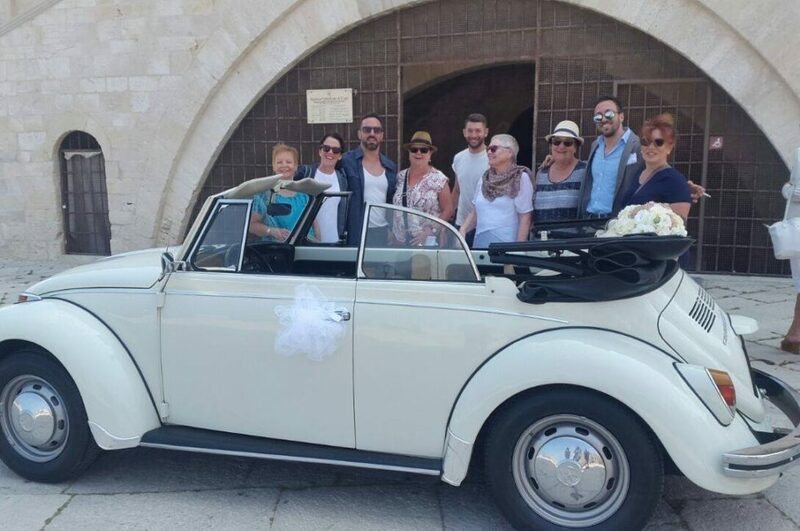 Peter and I would like to thank you for organizing a great tour of Puglia with a wonderful and exciting itinerary, fabulous food, great wine, unforgettable experiences and beautiful accommodations.Most of all, we would like to thank you for our tour guide, Paola. It was an absolute pleasure to have Paola as our travel guide for our amazing 10-day tour of Puglia. From the start to the conclusion of our tour, Paola’s effervescent personality, genuine caring, engaging enthusiasm, pleasant sense of humor, and passion her heritage endeared her to our entire group. 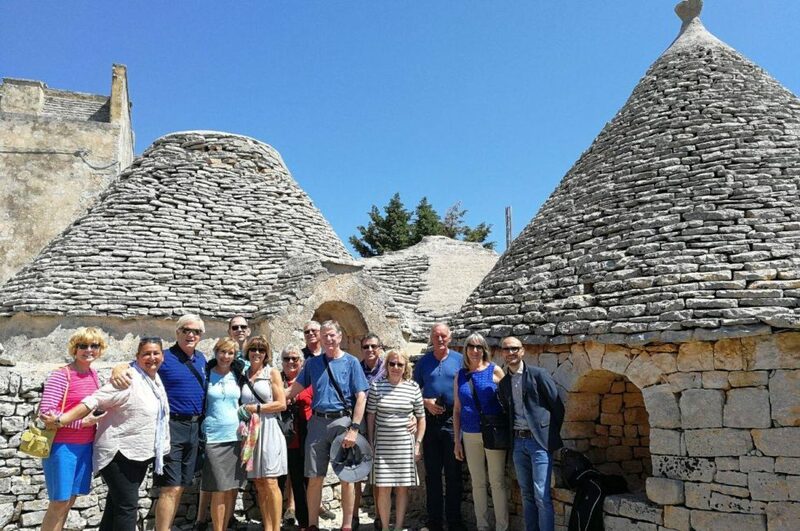 As we traveled throughout Puglia, Paola skillfully intertwined the rich history, multicultural features, and enchanting local charm of each captivating region of the Italian boot. During our planned free time, Paola would engage each couple and recommend various sites to explore, ensuring that their personal interests would be accommodated.Saying good bye was particularly emotional for all because of Paola’s endearing kindness and sincerity. Our itinerary exposed us to the wonderful region of Southern Italy but Paola’s presence every single day dramatically enhanced our wonderful travel experience. Kudos to the Secret Italia Tours for having such a unique, one of a kind professional on their team. I just completed the Sicily tour and wanted to let you know what a wonderful experience it was. You have a real treasure in Rosaria. Her knowledge and enthusiasm were contagious. The whole group bonded and were unified in our admiration for Rosaria.The hotels were very nice, especially the final villa in Taormina.I could go on and on about the food, but that too was terrific. Many thanks to Secret Italia! We were brand new to the ‘group tour’ experience. Each new day had us thinking about how selecting the Secret Italia tour was so much the right choice for this trip. We had a terrific time. The itinerary, the mix and balance each day, the choices of sites, and the pacing showed that our tour was designed with care, not merely assembled. That we were getting a sense of Sicily, not just checking off sites to see.Rosaria was a wonder for her energy, enthusiasm, and unwavering helpfulness.And for transforming a mix of cautious strangers into a group of traveling friends. We have finally returned home to Australia after two months in Europe/U.K. 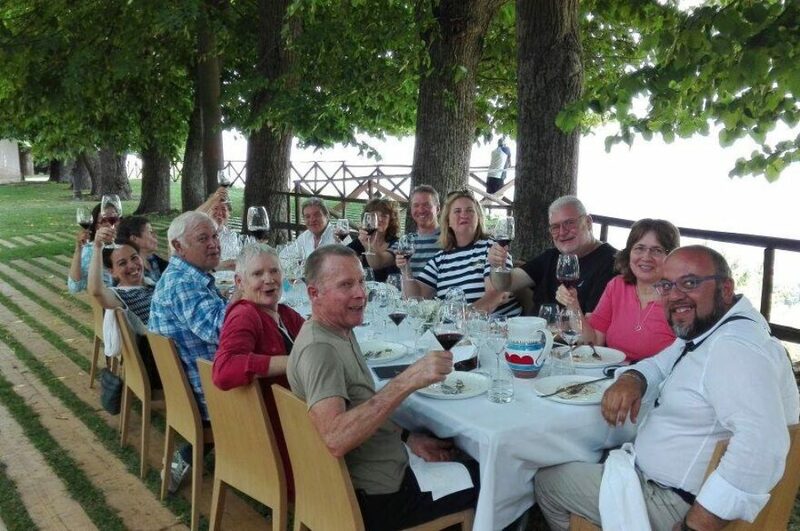 and we would like you to know how much we enjoyed our tours with your company (Puglia/Basilicata and Sicily). Very well organized. Everything ran like clockwork. Beautiful accommodation, delicious food, interesting experiences, comfortable vehicles with excellent drivers. However, the ‘icing on the cake’ were the two tours managers, Paula and Daniela.True professionals, excellent knowledge, enthusiasm and love for their regions and a great sense of fun. If the rest of your tour managers are of the same caliber as these two ladies, you must have a very successful business. You appear to have the knack of choosing the right people and we hope you thoroughly appreciate them. We hope to travel with your company again one day. We want to thank Secret Italia for their organization, coordination and production of a GREAT TOUR.The 12 Days Sicily Small Group tour exceeded our expectations. The hotels were all very good. The excursions, food, wine and motor coach were all first class. The itinerary was full but worth every minute. Aldo was easy to contact, very responsive to our questions and concerns and a pleasure to work with. Our guide Rosaria was fantastic. Her professionalism, attention to detail, enthusiastic personality and knowledge made the tour amazing. Marco, our driver, was exceptional. He navigated the challenging Sicilian roads with ease. Thank you for a very memorable vacation. It was such a memorable trip. Portugal was beautiful and the people were so friendly and welcoming. Such beautiful country and our experience was so varied that I felt we got a great “feel” for all of Portugal . Carla was an excellent guide. She was knowledgeable, fun, and had great positive energy. She is such a positive addition to the Secret team. She added so much to the experience. This hotels were all excellent. I liked the variety and locations of all of them. The idea of a small, unusual hotel well located to the heart of the town was very appealing to me. The staff and the food at each were excellent. Our meals at the wineries were unforgettable. Not only were they delicious and located in beautiful settings, we had a chance to talk with the locals. I really liked the fact that the group was small. It made for great comradery and we could experience more and different things than a larger group can. The trip to Madeira was the frosting on the cake. It is such a beautiful, enchanting place. I thoroughly enjoyed it and found it was so relaxing. The hotel was exceptional. It was beautiful and so quiet and peaceful.The restaurant there was very high quality and we enjoyed all our meals there including 3 dinners. Trust the Locals is an excellent way to describe your trips. We were able to have a quality and unforgettable experience. Great job to all your Secret team and a huge thanks to you. Dear Aldo and Katrin, Thanks so much for a my recently completed small group tour of Andalusia. This was my first visit to Spain and is the first time I’ve taken an organised tour – I truly enjoyed having someone else look after all the details! The local guides in each place we visited were exceptional as were the hotels and restaurants. Our tour leader Laura deserves a very special thank you for her personal attention and great recommendations for our free time in each place we visited. An unforgettable experience – highly recommended! Hello Aldo, I hope you are recovering well from our tour and enjoying time at home with your family. Since I returned to work I have been raving about the tour! You run an excellent operation. All of the details are mastered and that makes it go so smoothly. We fully enjoyed both islands and all of the experiences. We can even get Sardinian Cannonau and Monica at the nearby wine store! Again, thanks for making it great. Dear Aldo, Thank you so very much for one of the most memorable trips I have ever taken…MALTA You convinced me that the way to see the world is in small groups. Your Secret Italia Tours of Malta was perfection, touching on every aspect of truly getting to know and enjoy the area you are visiting and its history. I have already started to recommend you and your trips to my relatives and friends. It was a pleasure getting to know you and experiencing the personal commitment you have to your guests. Interested in booking your next dream tour with us? Wait no longer and contact us Today!